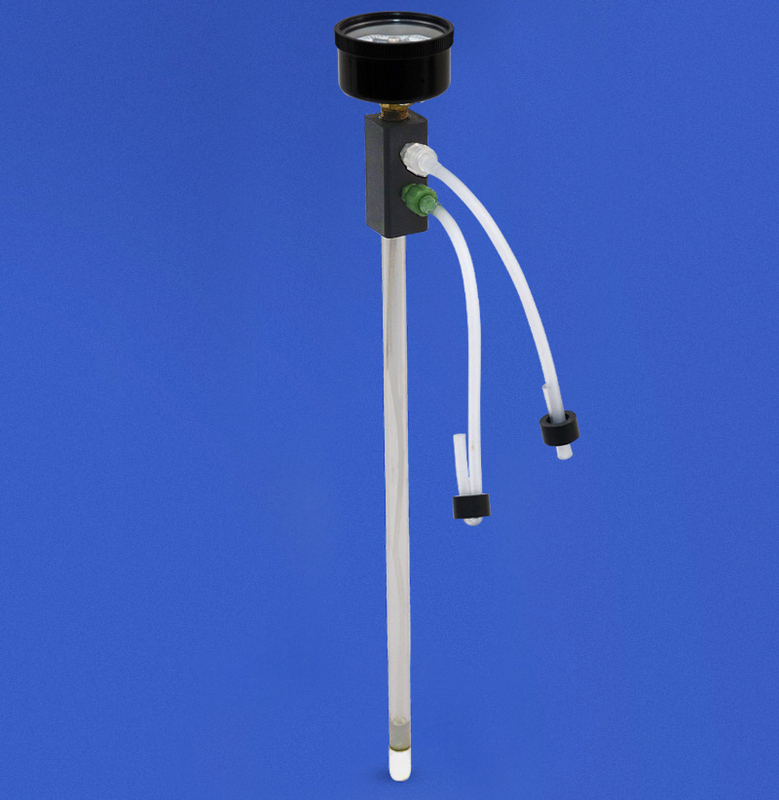 Specialized small diameter Sampler - Tensiometer for use in special applications such as column studies or other restricted spaces where one needs to sample and monitor soil moisture matric tensions together. It has three ports for quick connects using standard Luer-Lock quick connect technology. It can easily be fitted with our Monitor transducers for real time or scheduled monitoring. 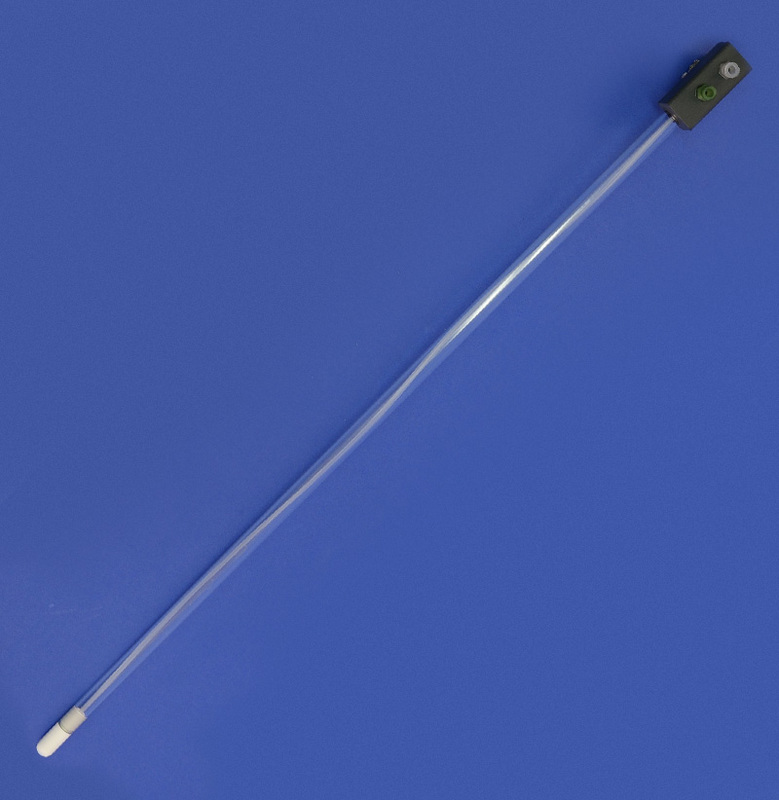 Available in a number of lengths and easily connected to a number of Luer-Lock components. The small .375 diameter fits almost any tight, small access requirement.